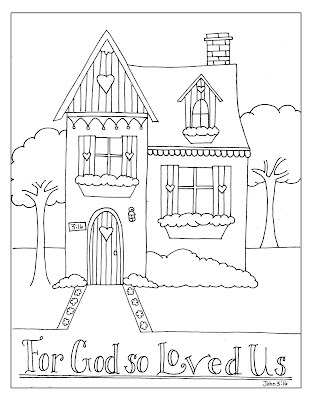 Hello Friends - I just thought I'd pop in and share a few more houses with you to download and add to your "Address Book". I have so enjoyed drawing these houses and have started looking at "real" houses to draw now. 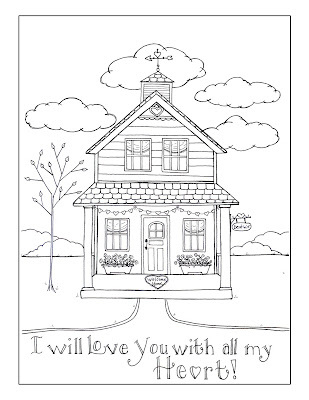 Gary is so sweet, he helps me when I can't figure out angles and stuff - he is a wiz at all of that! 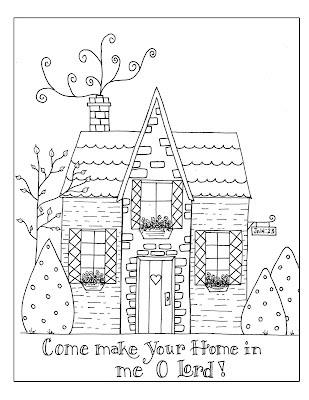 Anyhoo - just right click and hit "save as" to download. 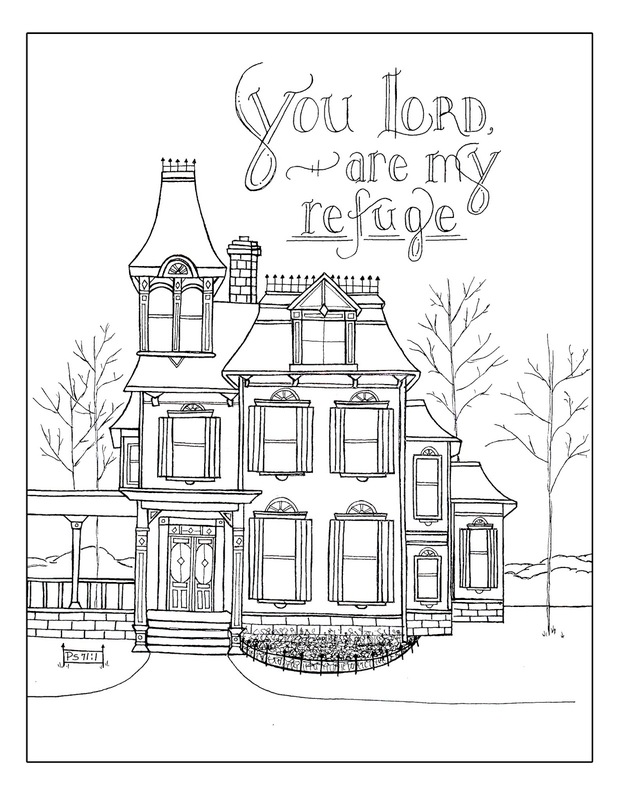 I hope theses will be a blessing to you and I would love it if you would let me know you downloaded them in the comment section. 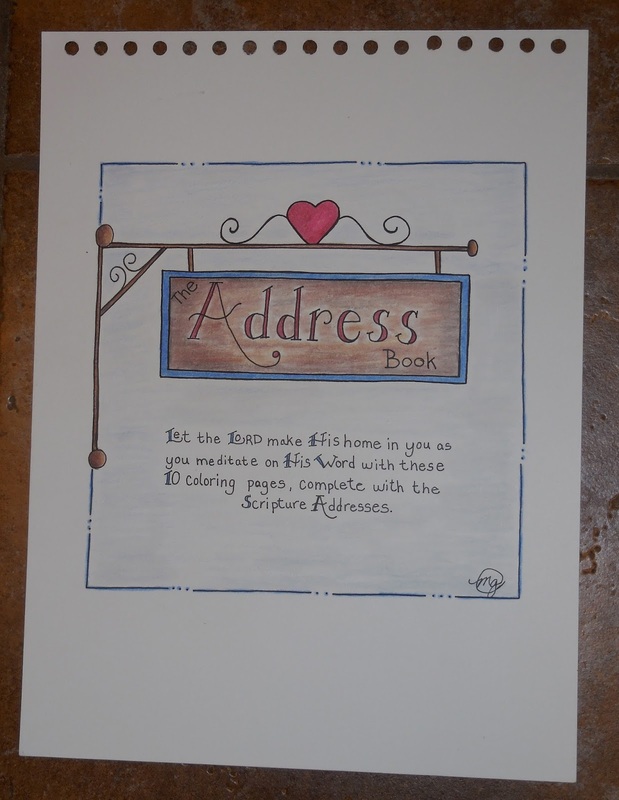 PS - Here is the rest of the "Address Book"
Hey friends - I just wanted to share this with you as well. This is the chore list I use everyday at my house. 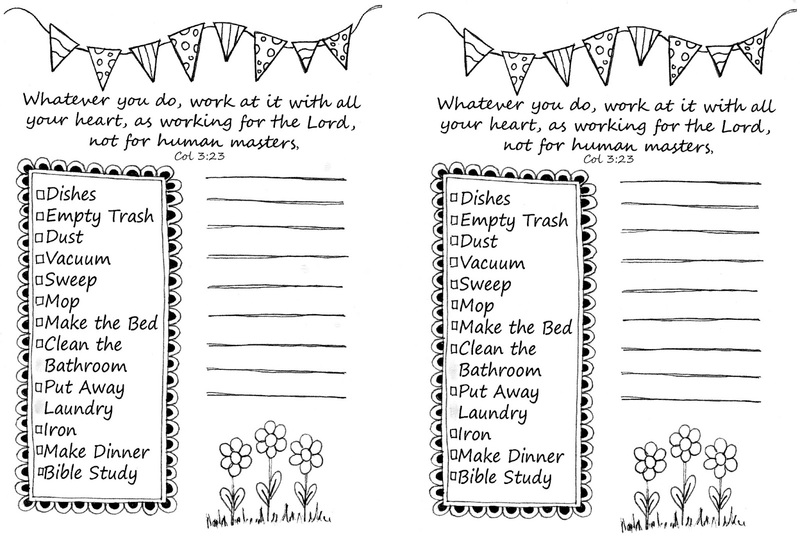 It has all of the "regular" chores listed and also has space to write in those "extra-special" chores and errands. 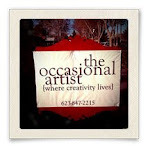 I keep mine on a little clipboard in the kitchen (I keep saying I am gonna paint that clipboard but never do). 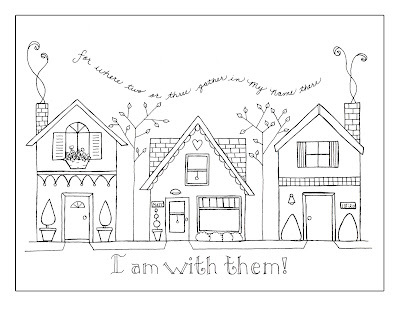 Anyhoo, I hope you will enjoy these just right click and "save as" to download. 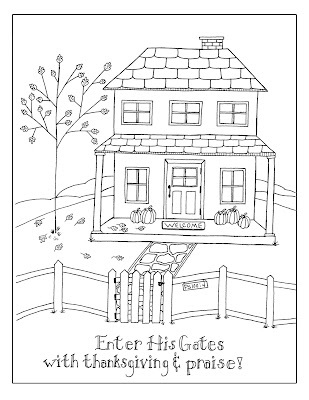 They will print out on reg 8.5 x 11 paper with 2 lists to a page. 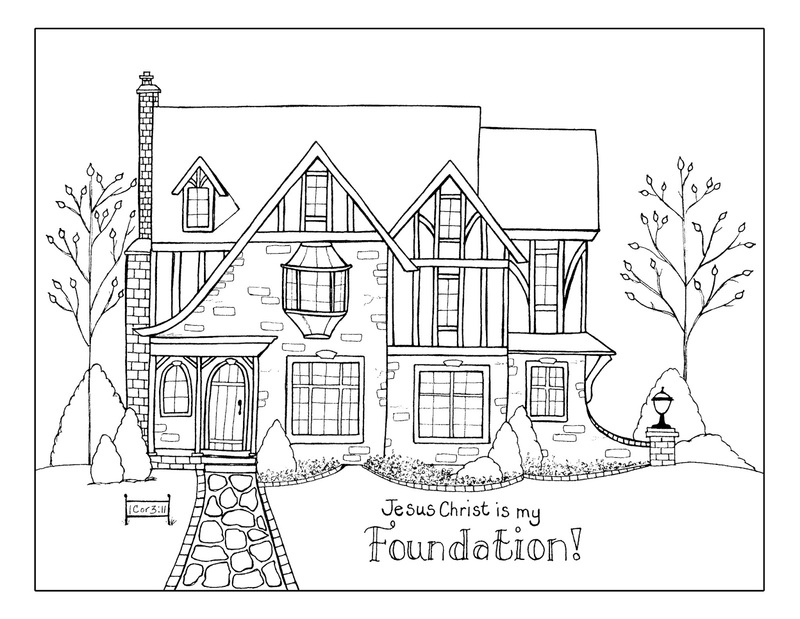 I have been doing some doodling as part of my prayer and worship time. 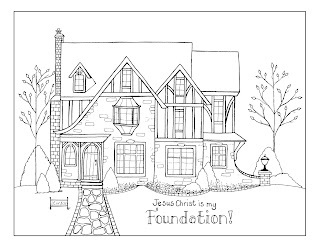 For some reason I was drawn (no pun intended) to doodle houses. 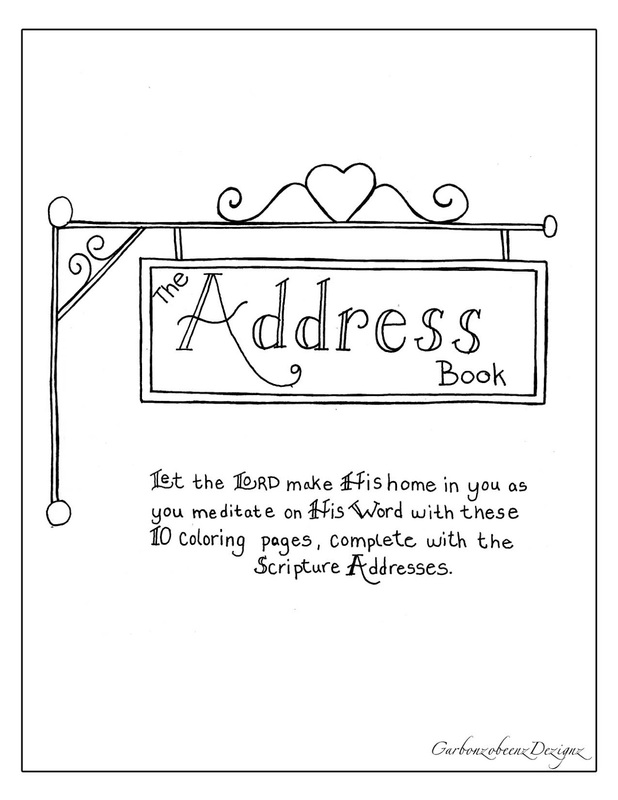 Each house had an address on it that went with the scripture I was meditating on. 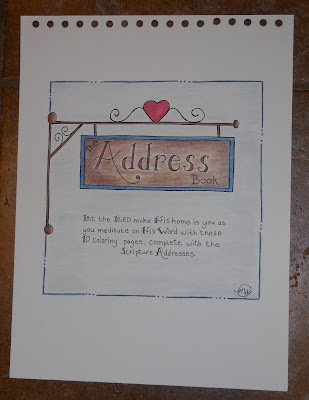 I also wrote out the basic meaning of the scripture as I doodled. 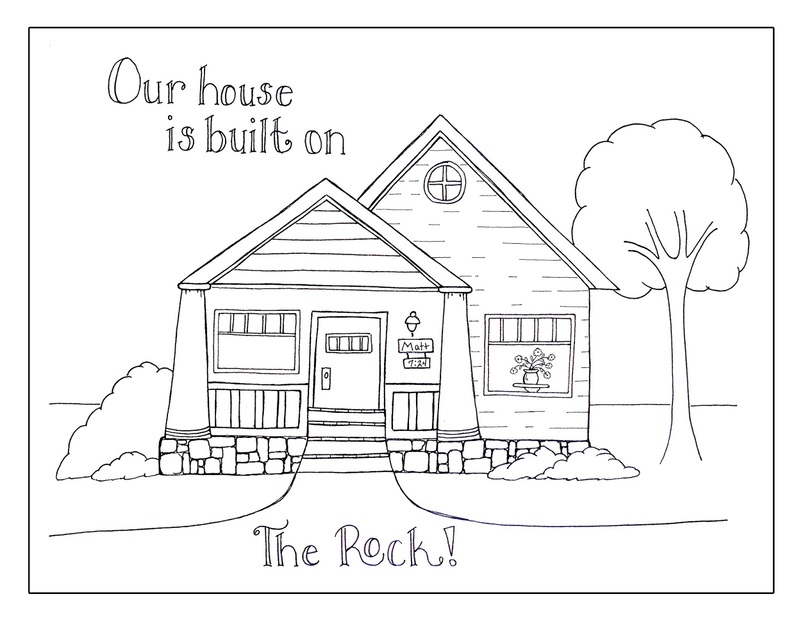 This was not typical for me since I hate my handwriting and I am no good at fancy lettering. 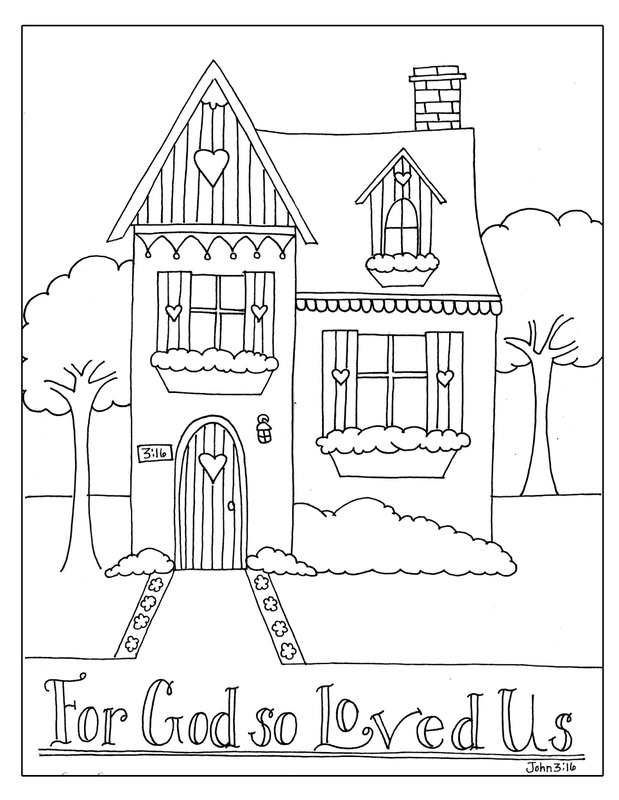 I did about three little houses and ran out of my favorite blender pens, and so I just kept doodling without coloring them in. 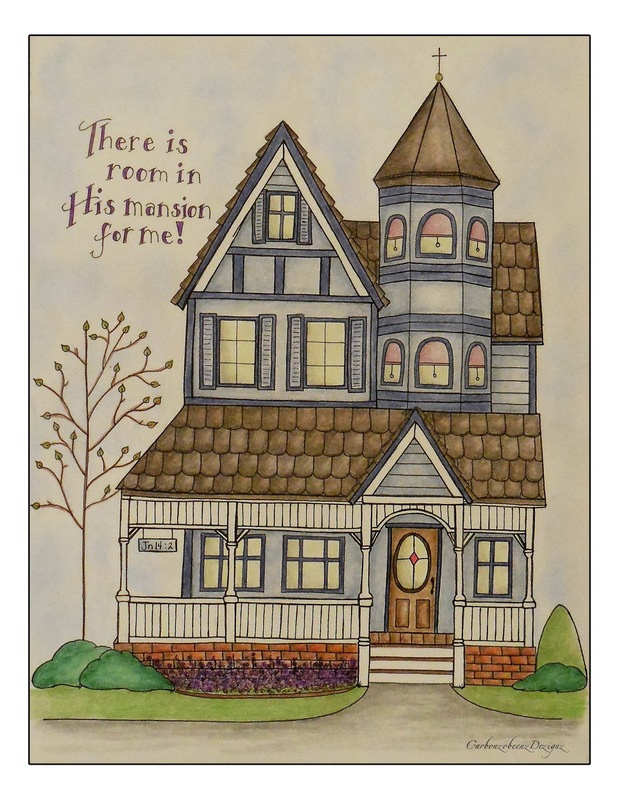 Then a friend suggested I scan in my houses once they were all colored and let her try to publish them as greeting cards. 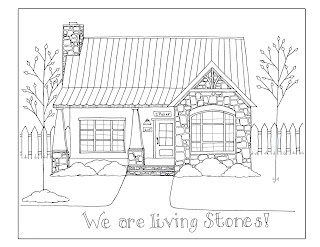 I was certain they were nowhere near good enough for that. 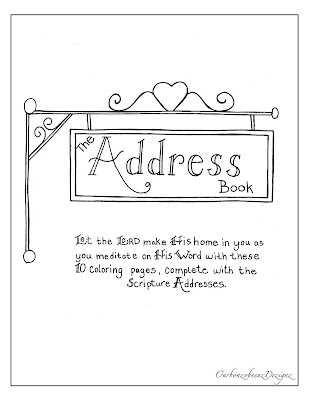 Then one day as I was doodling I realized that my sketch book had turned into an "address book". 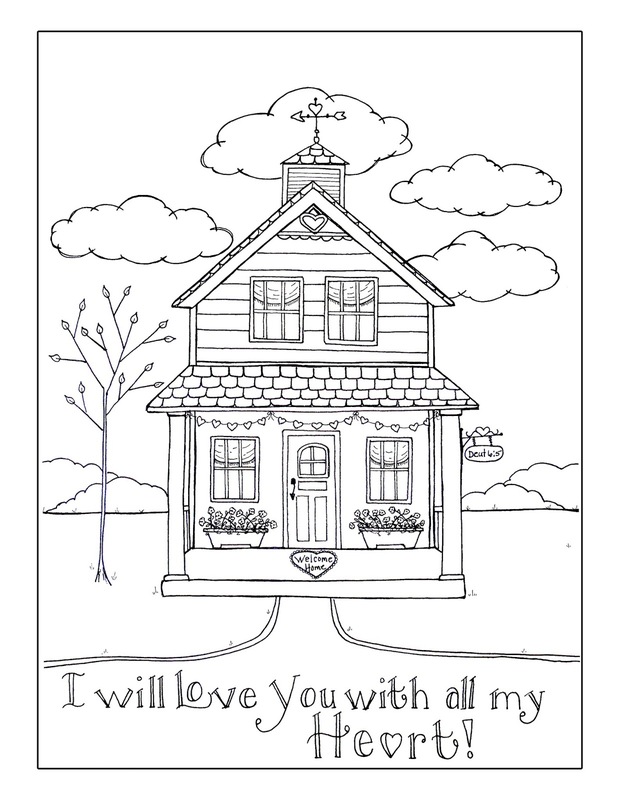 I felt as though God was telling me to share these with people uncolored as a coloring book and a way to meditate on His Word. 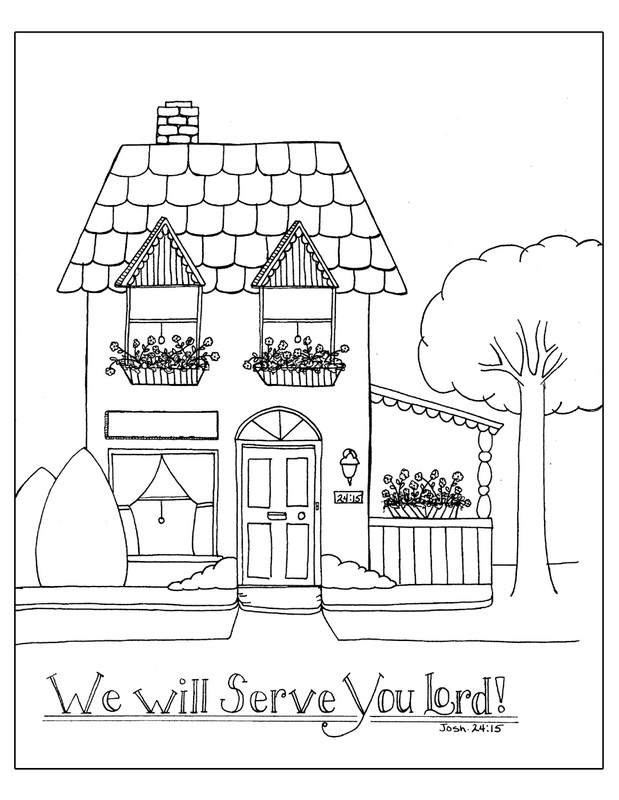 And so, here we go. 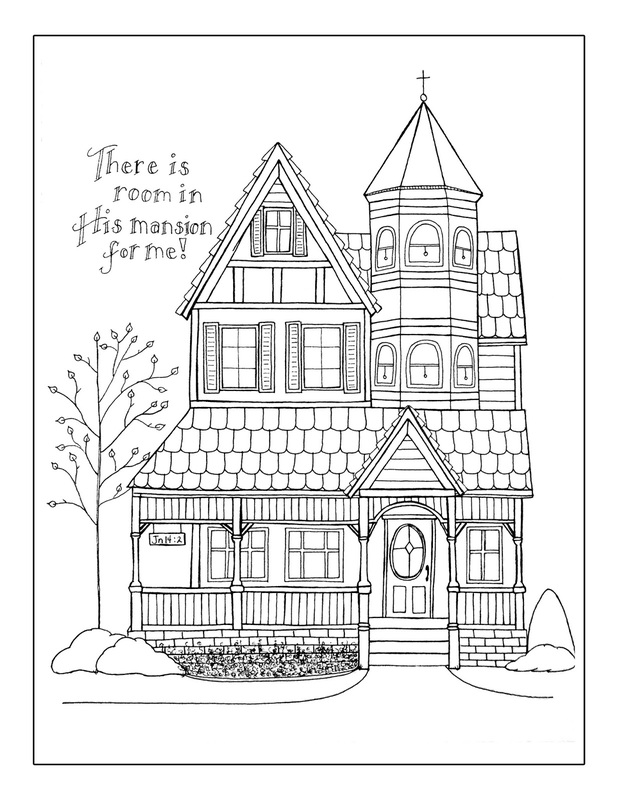 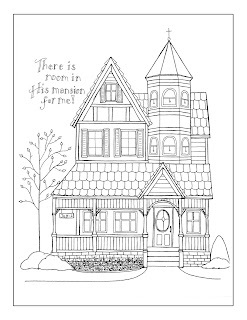 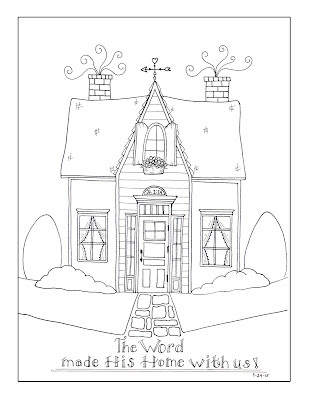 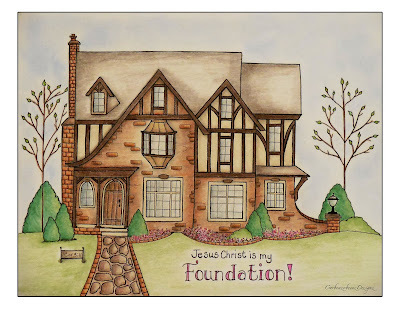 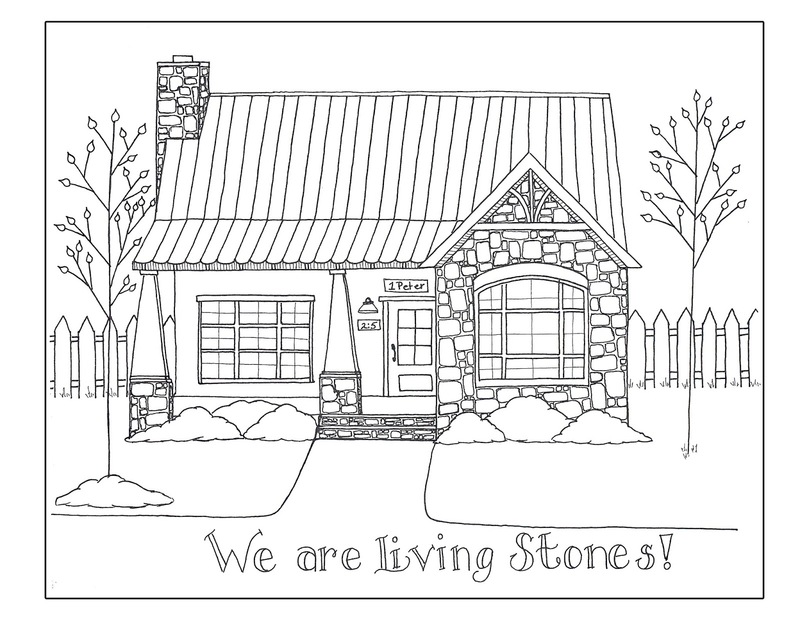 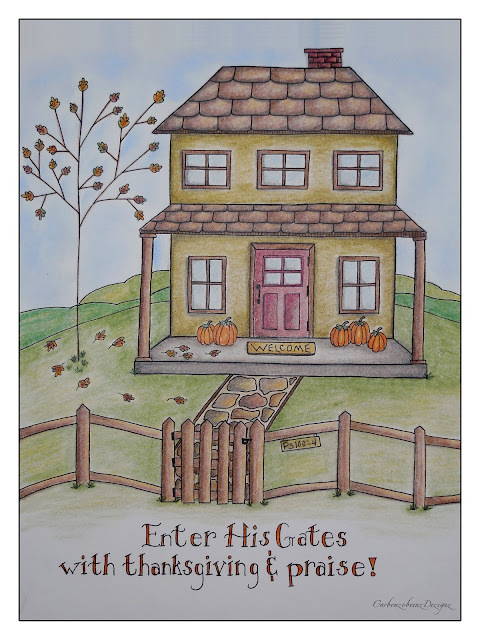 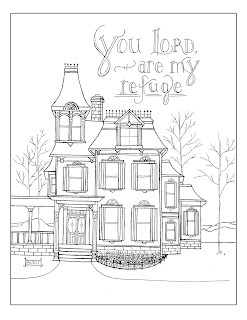 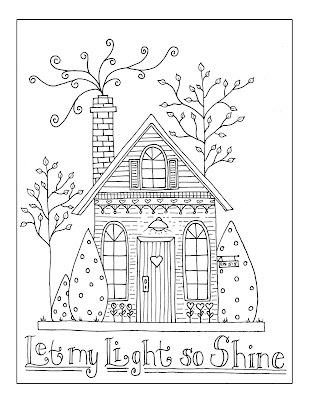 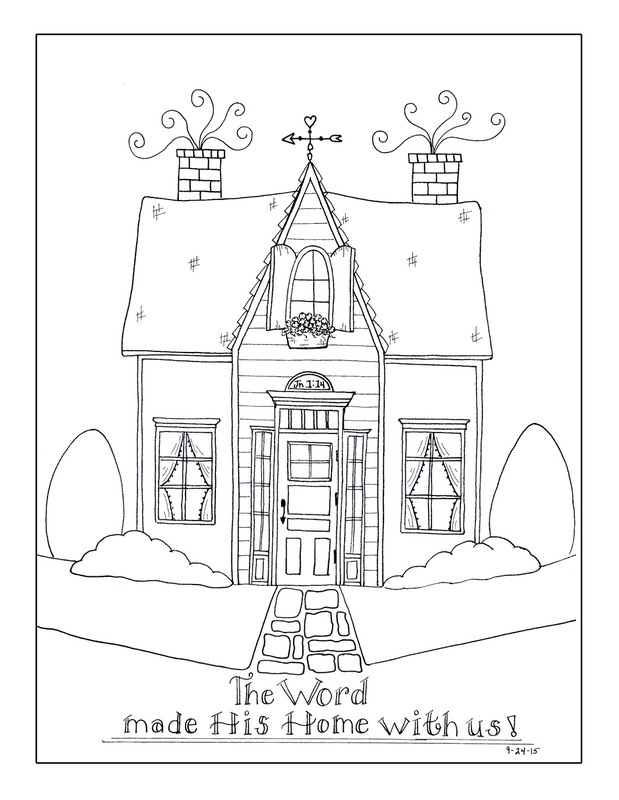 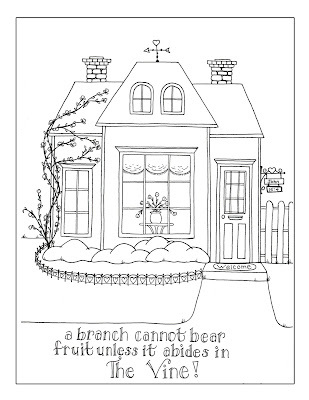 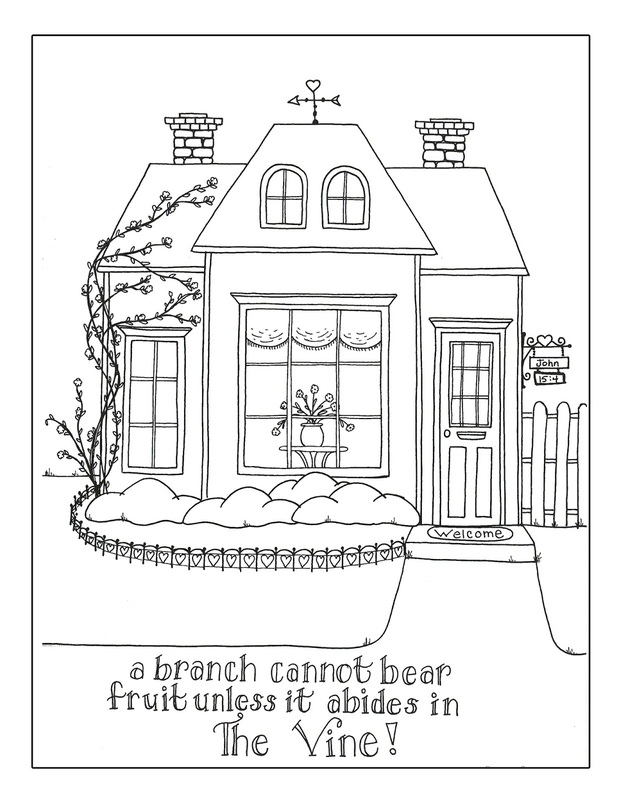 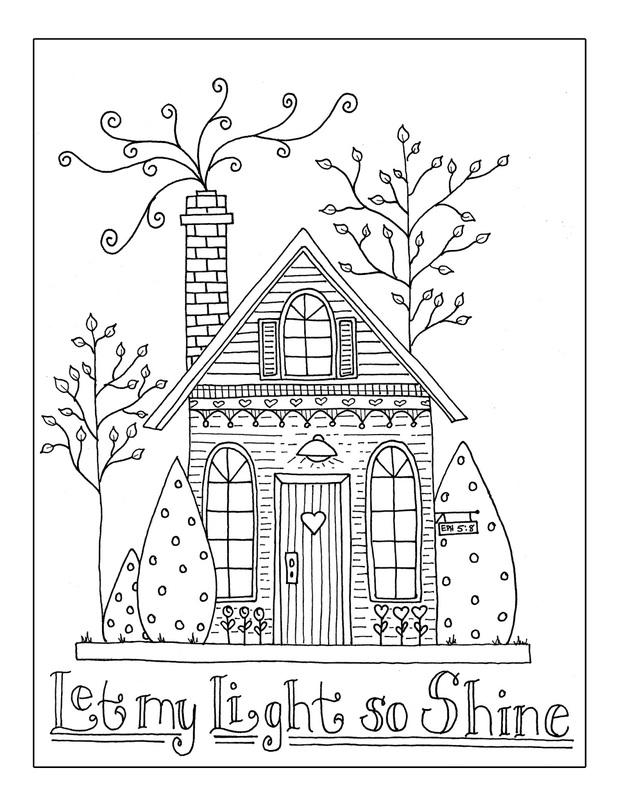 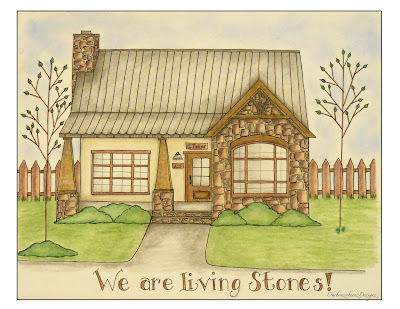 Here is my "Address Book" full of little houses for you to color while you meditate on God's Word. 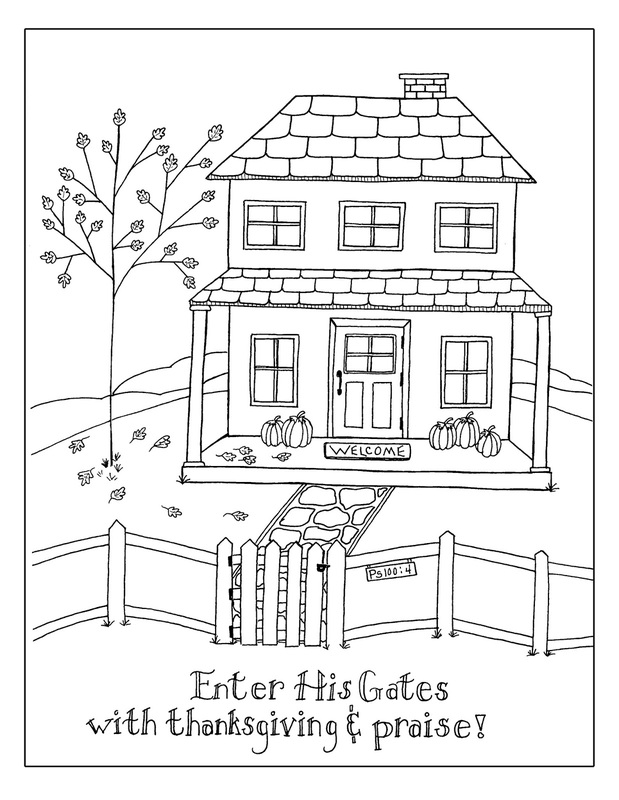 To download them simply right click on the image and hit the "save as" in the drop-down window. 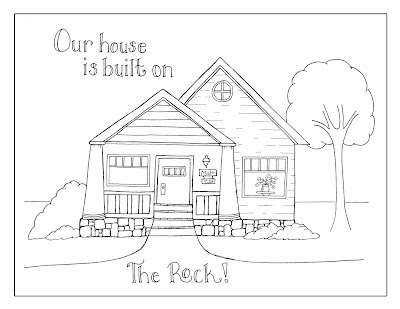 They will print out on 8.5"x11" paper or cardstock. 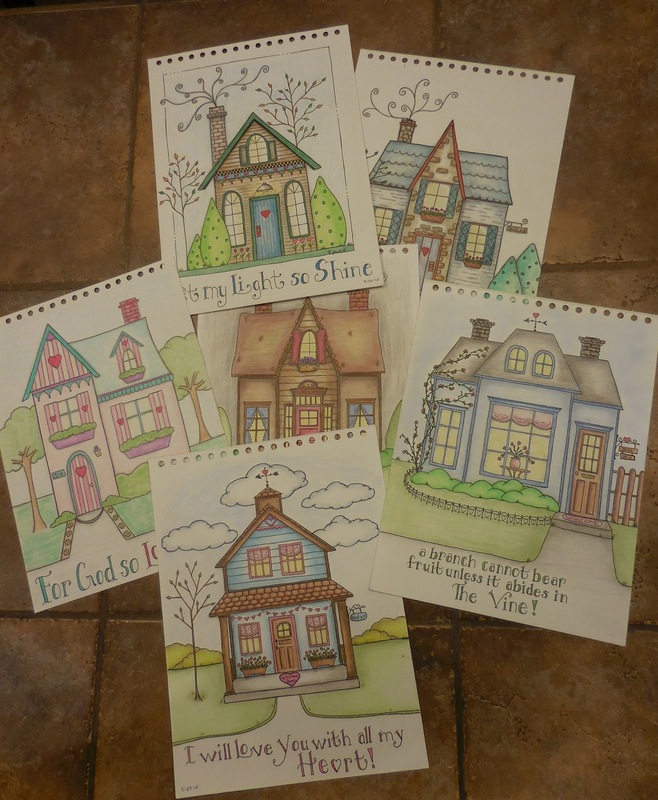 Here are a few of my doodle houses that are colored in for you to see. 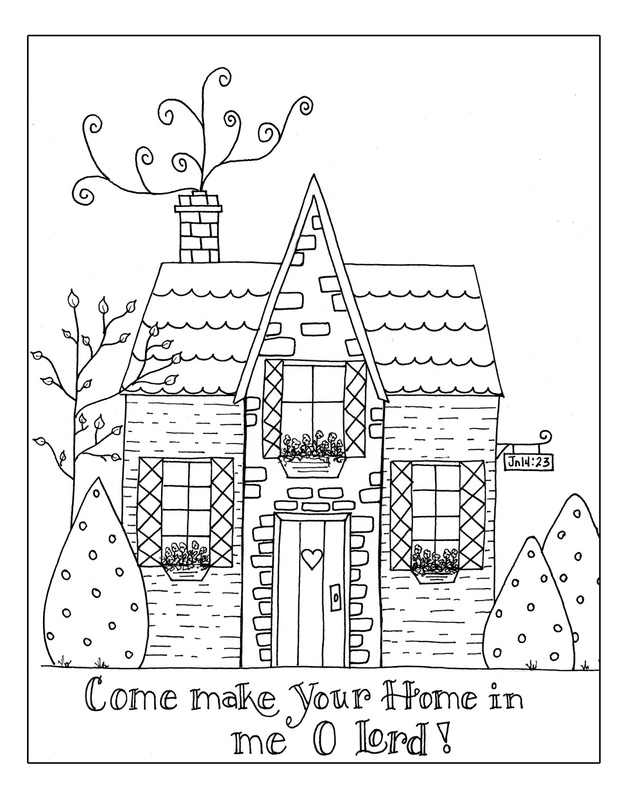 There are a total of 10 houses plus the cover page for you to download. 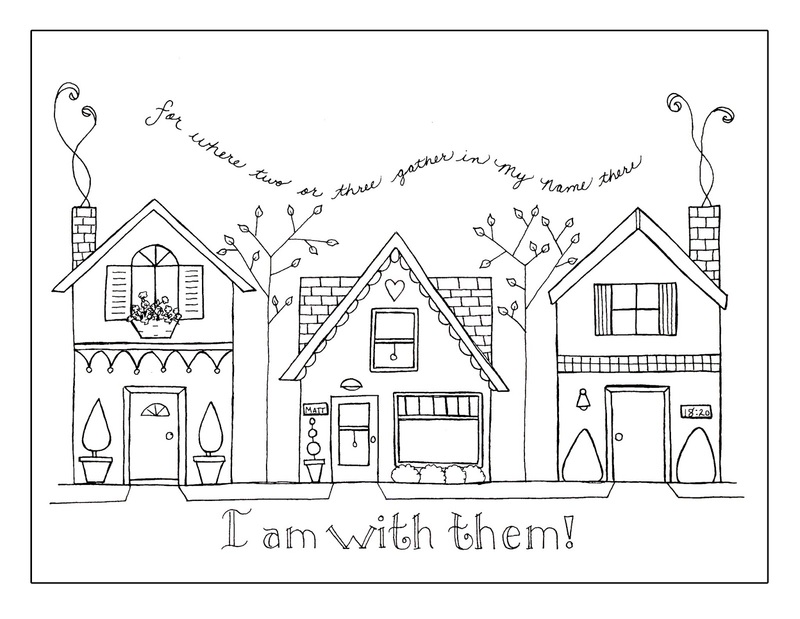 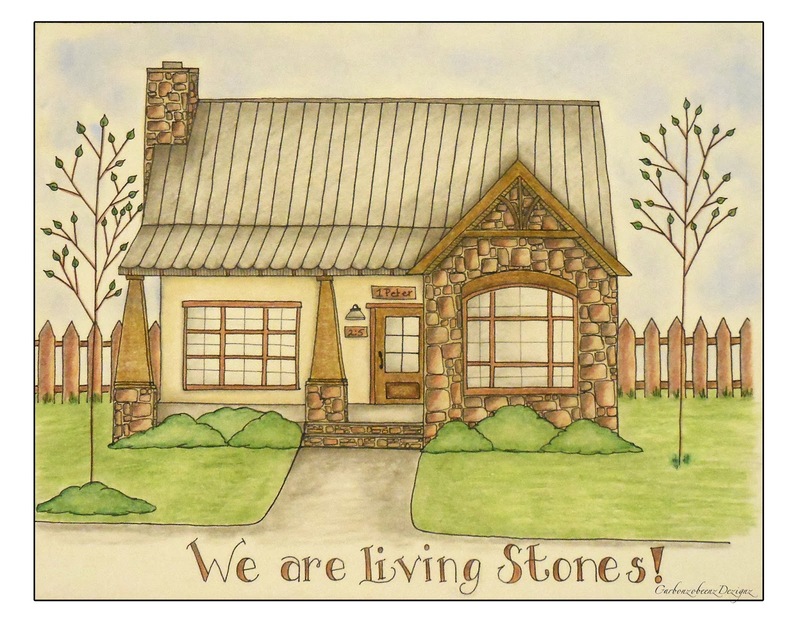 Updated - just added this one today (10/15/15) because I am so filled with thankfulness for how God is using these little houses and how kind everyone's comments have been! 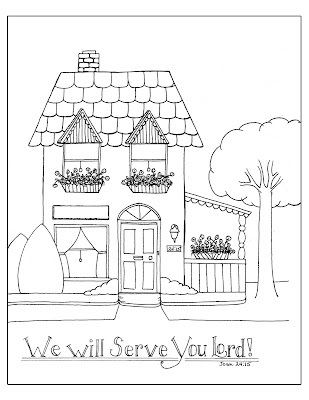 . . .But as for me and my household, we will serve the LORD."